Native Americans traditionally assign no moral gradient to love or sexuality; people are judged for their contributions to their tribe and for their character. It was also a custom for parents to not interfere with nature and so among some tribes, children wore gender-neutral clothes until they reached an age where they decided for themselves which path they would walk and the appropriate ceremonies followed. 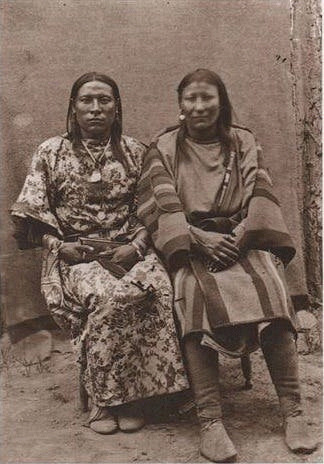 The Two Spirit people in pre-contact Native America were highly revered and families that included them were considered lucky. Indians believed that a person who was able to see the world through the eyes of both genders at the same time was a gift from The Creator. Traditionally, Two Spirit people held positions within their tribes that earned them great respect, such as Medicine Men/Women, shamans, visionaries, mystics, conjurers, keepers of the tribe's oral traditions, singers/artists in addition to adopting orphaned children and tending to the elderly. Female-bodied Two Spirits were hunters, warriors, engaged in what was typically men's work and by all accounts, were always fearless.